This statistic presents the confidence levels of adults in Great Britain in being able to afford to pay for a holiday within the upcoming twelve months, as of June 2014. 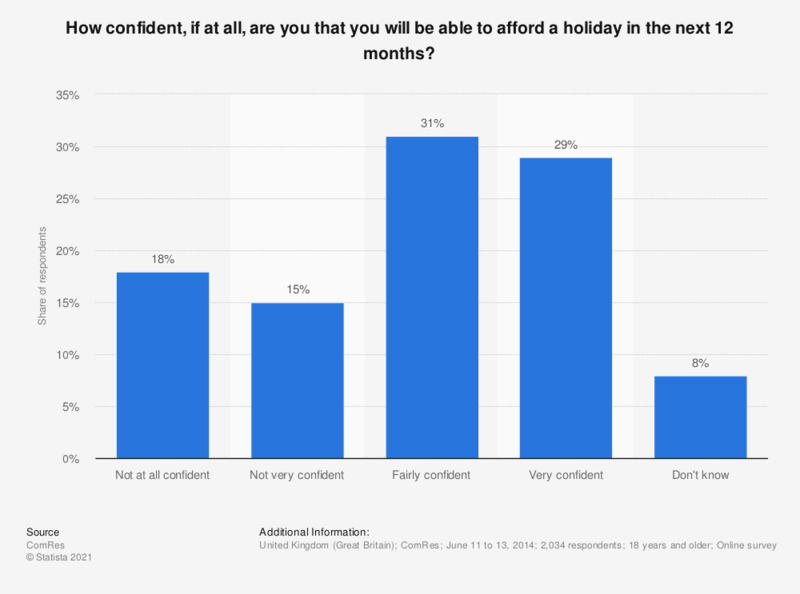 Approximately 60 percent of British respondents were very or fairly confident that they will be able to afford a holiday. The exact formulation of the question was as follows: "How confident, if at all, are you that each of the following will happen in the next 12 months: I will be able to afford a holiday."